Want to inject some flair or excitement back into your salmon dishes? 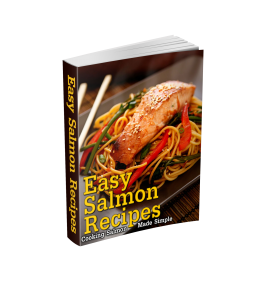 If you are looking for some ideas to prepare your next salmon dish, check out ‘Easy Salmon Recipes‘. How about some breakfast? You can try our Smoked Salmon Omelet recipe. Download your copy now and have fun with salmon again!